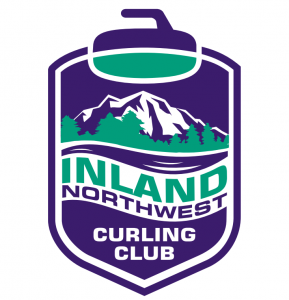 The Boards of the Lilac City Curling Club and the Coeur d’Alene Curling Club recently voted to merge the clubs, forming the Inland Northwest Curling Club. The new club is thrilled to display our beautiful new logo. Thanks to the team at Universal Athletic, especially Keith Williams, for this great logo design! We particularly love the way it features our beautiful mountains, forests, and the flow of the river. The lovely purple was chosen to reflect the City of Spokane and the green to reflect the City of Coeur d’Alene. We are looking forward to the gear that will follow!